Several areas of the face, including the eyebrow, are open for piercings. 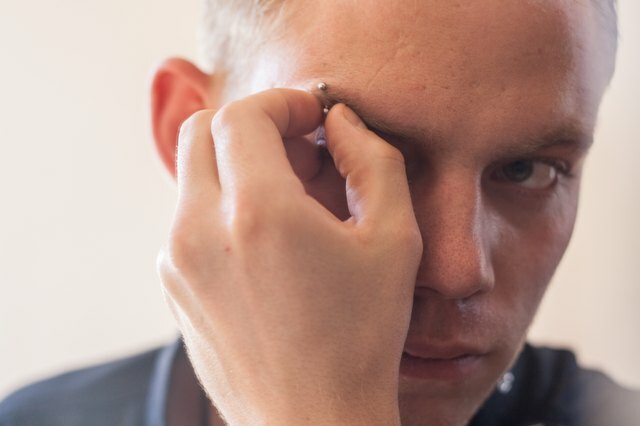 The piercing will either go horizontally above your eyebrow or vertically through the eyebrow. 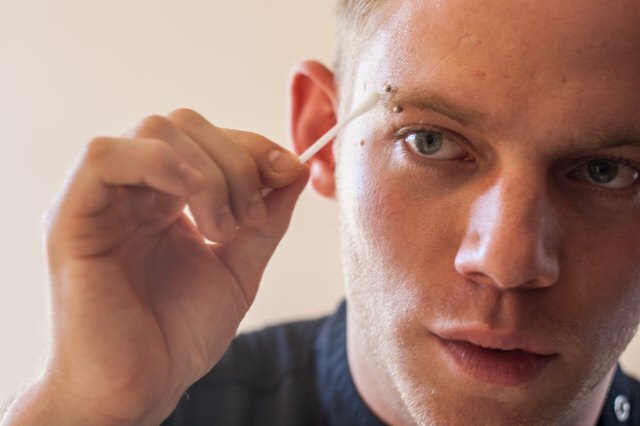 Eyebrow piercings including rings and barbells may contain one or two twisted-on ball shapes that secure the piece of jewelry to your eyebrow. You will have to loosen these ball shapes when removing a piece of jewelry or when inserting a new one. 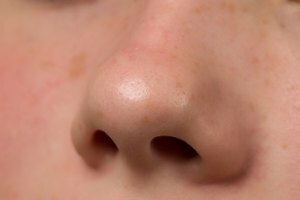 Wash and dry your hands thoroughly before touching your eyebrow or the piercing. 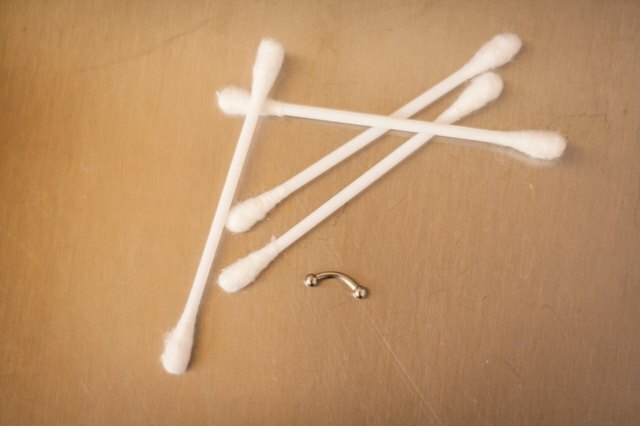 Run a saline solution-soaked cotton swab over your piercing area gently. 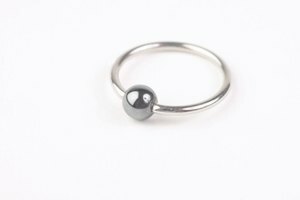 Hold onto the actual piercing with one hand to prevent it from moving around in your skin while trying to loosen the ball. You want to stabilize it as much as possible. Twist the tight ball between two of your fingers of your other hand to unscrew it. Unscrew it until it has become loose enough. Try not to move the piercing around when doing this. Do not pull or tug on the piercing when unscrewing the ball. Do not mess with your piercing if your hands or the piercing area is dirty. This could lead to infection. 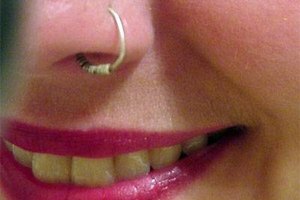 Try not to touch your piercing within the first five to six weeks, or however long you were told by the person who pierced you, after the piercing takes place. If you are unable to unscrew the ball with just your fingers, see a licensed body piercer for further instruction.